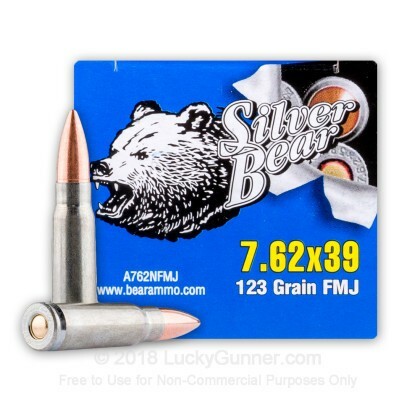 Buy Your 7.62x39 123gr Full Metal Jacket Silver Bear In Bulk And Save Cash Today!!! Manufactured at the Barnaul plant in Russia, Silver Bear ammo derives its name from the highly polished zinc plated steel casings used. These steel casings feature a zinc plating to prevent corrosion improving the shelf life of these rounds. 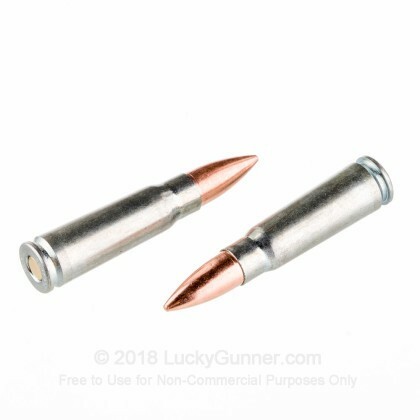 Additionally, this 7.62x39 ammo features a full metal jacket bullet designed to expand on impact making this a great choice for hunting! Manufactured in Russia, this product features zinc plated steel-casings and is berdan-primed, non-corrosive and is non-reloadable. It's both economical and precision manufactured at the Barnaul Machine Plant. The company is currently one of the largest suppliers of cartridges in Russia. It also delivers cartridges regularly to America, Europe and Asia. 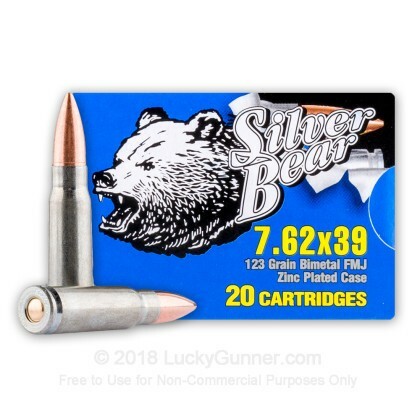 We don't have any reviews yet for this particular 7.62X39 ammo from Silver Bear. 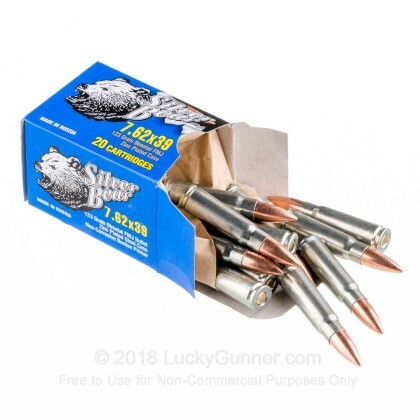 If you'd like to be the first to review this particular 7.62X39 ammo from Silver Bear, fill out the form below. Q: Are the projectiles magnetic? A: Hello Eric! 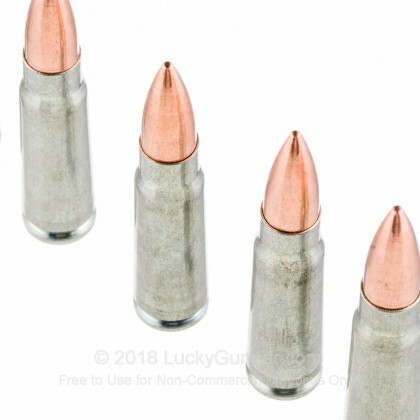 This ammunition is loaded with a lead core, bi-metal jacket projectile. Due to the steel content in the jacket, this ammunition will not pass a magnet test. 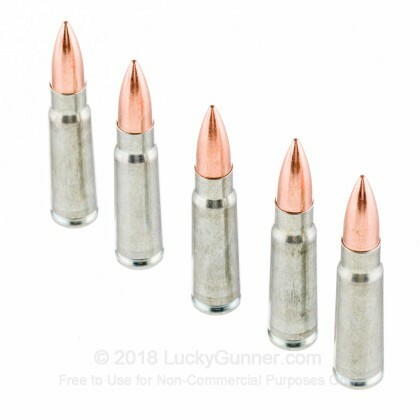 We also have this 7.62X39 - 123 Grain FMJ - Silver Bear - 20 Rounds ammo in stock in a smaller quantity.